• Collaborators - in this new program, actor Joyce Van Patten and distributor Julian Schlossberg discuss the visual style and tone of Mikey and Nicky and explain why they believe it is a very special film. There are additional comments about Elaine May's working methods. In English, not subtitled. (15 min, 1080p). 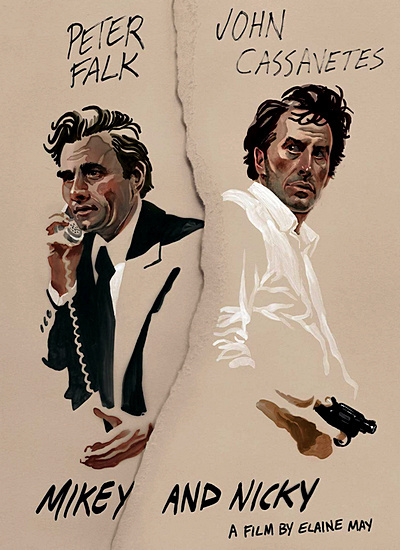 • Critics - in this new program, critics Richard Brody and Carrie Rickey deconstruct Mikey and Nicky and discuss Elaine May's career. The program was created exclusively for Criterion in 2018. In English, not subtitled. (24 min, 1080p). • Peter Falk - in this archival audio interview, Peter Falk discusses his passion for acting and the evolution of his career, some of the crucial roles/characters that he was hired to play, and his contribution to Elaine May's Mikey and Nicky. The interview was conducted by Julian Schlossberg for the radio program Movie Talk in 1976. In English, not subtitled. (46 min, 1080p). • Trailer - vintage trailer for Mikey and Nicky. In English, not subtitled. (2 min, 1080p). • TV Spot - vintage TV Spot for Mikey and Nicky. In English, not subtitled. (1 min, 1080p). You must have an active premium on ausfile and you must be my referral, that is, buy premium via the link to my file.